Tam is the Boys MCAL Champions and Redwood is the Girls MCAL Champion. 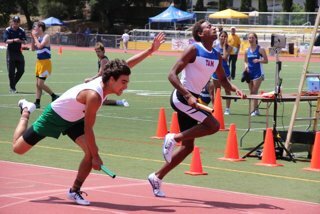 The Tam Boys finished the meet by just beating Drake in a close 4 X 400m relay. 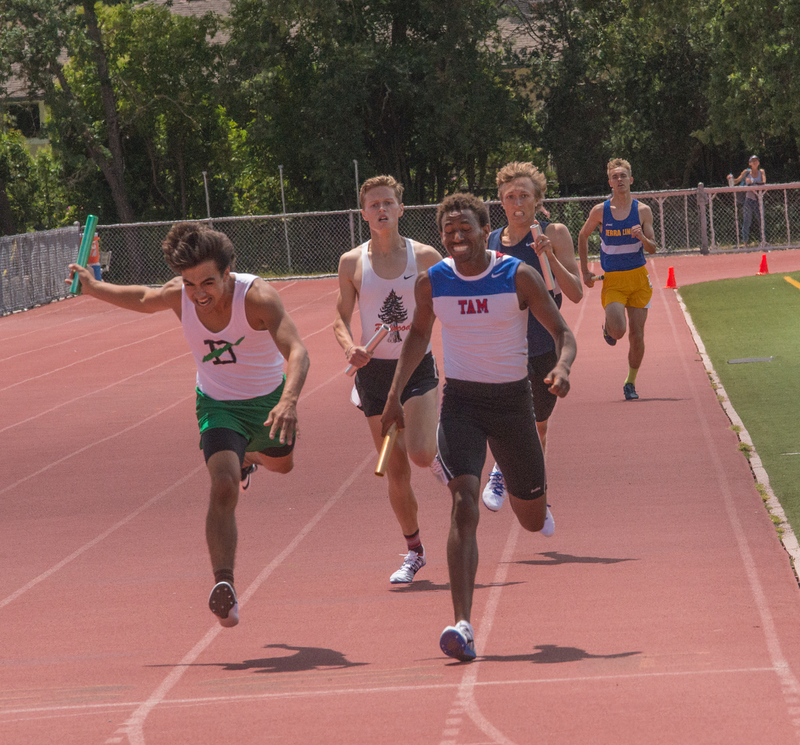 Tam won in 3:31.23 with Drake 2nd in 3:31.31. Photo above courtesy of Doug Eisinger. Photos below from Tom Benjamin. Links below. 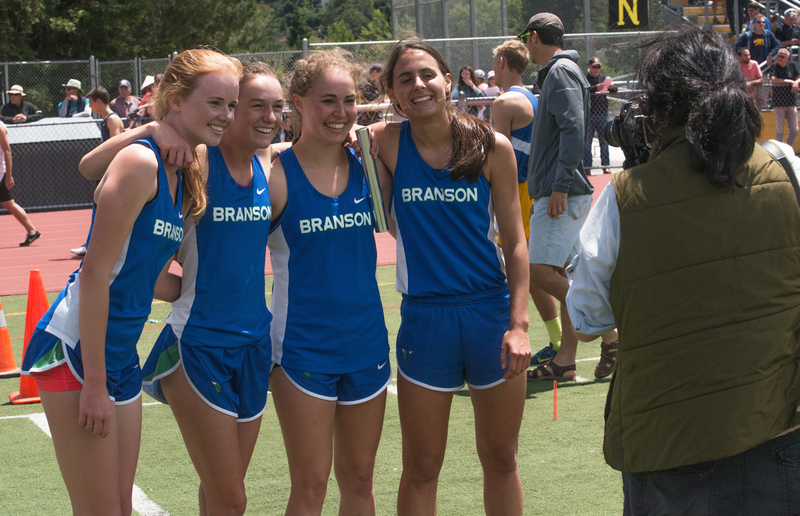 The Branson Girls 4 X 400 team upset the favorites for the win in 4:12.22, winning the relay for the first time in Branson history. Left to right Ellie Packard, Olivia Weisel, Charlotte Oster and Grace Dailey.